NEW ULM — For the second time in four days, the New Ulm Brewers knocked off one of the top teams in the Tomahawk East League. Chris Cariveau held Springfield to seven hits and struck out five as the Brewers topped the second-place Tigers 4-2 Saturday night at Mueller Park. 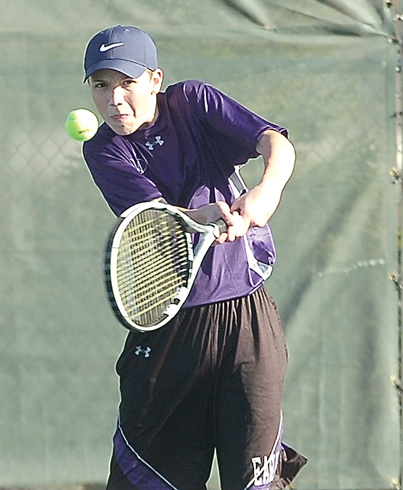 On Wednesday, New Ulm blanked the then second-place Stark 3-0. Willy Vanderwerf took the loss for the Tigers, now 15-5. He was charged with three runs in his six innings of work. Wade French paced the 15-hit New Ulm attack with four hits. Sam Berg added three hits with Judd Davis and Landon Rewitzer each contributed two hits. Davis also had two RBIs. The Brewers play two games today, both on the road. They travel to first-place Lamberton for a 1:30 p.m. game before traveling to Leavenworth for a 6:30 p.m. meeting with the same Tigers’ team. The Brewers, who are now 11-9, took a 1-0 lead in the bottom of the second inning when Eric Austvold led off with a double and scored on Davis’ two-out single to center field. Springfield came back to tie the game in the third when Tori Helget singled and Brandon Flock drew a walk. Decker Scheffler’s single plated Helget. The Tigers then took a lead in the next inning. Carter Erickson led off with a single and Stephen Sandberg walked. A double steal and a Nick Seidl suicide squeeze bunt brought in Erickson. Even though the Brewers were down 2-1 after the fourth, they did have scoring chances early as they left the bases loaded in the first and second innings and stranded two runners on base in both the third and fourth innings. New Ulm was able to get those runners in in the bottom of the sixth when they erased a 2-1 Tigers lead with two runs. Davis and Sam Berg singled and French’s fourth single of the game scored Davis. After Justin Haugo replaced Vanderwerf, a Grant Kannegiesser infield single scored Berg. The Brewers added an insurance run in the seventh when Landon Rewitzer singled. A Davis sacrifice fly later scored pinch-runner Kaleb Arndt. Flor was very happy with the performance of Cariveau. Flor said that Mitch Kelly will take the mound against Lamberton with Adam Slander penciled in to start against Springfield.